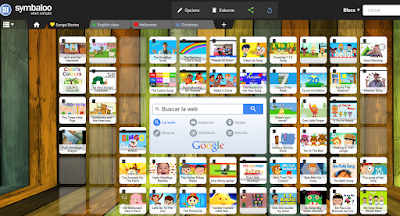 Symbaloo is an application that allows us to organize web links. We save our resources in the cloud and access them from anywhere with any device. It's a very good resource management tool that help us organize and share the best of the web. Here you have a web mix with some chants and stories.